I was standing on one leg shucking oysters when the problems began…’Don and Rosie are back in Melbourne after a decade in New York, and they’re about to face their most important project.Their son, Hudson, is having trouble at school – his teachers say he isn’t fitting in with the other kids. Meanwhile, Rosie is battling Judas at work, and Don is in hot water after the Genetics Lecture Outrage. The life-contentment graph, recently at its highest point, is curving downwards.For Don Tillman, geneticist and World’s Best Problem-Solver, learning to be a good parent as well as a good partner will require the help of friends old and new.It will mean letting Hudson make his way in the world, and grappling with awkward truths about his own identity.And opening a cocktail bar. 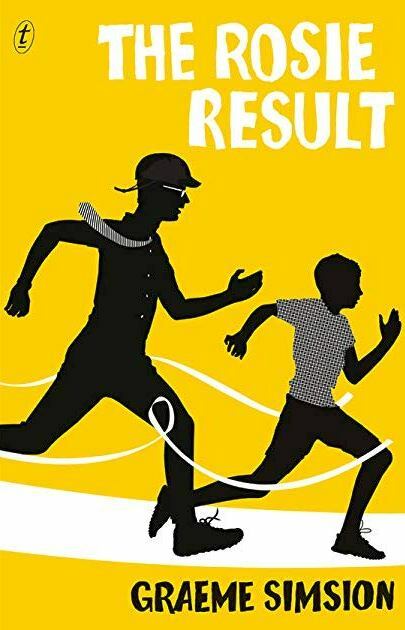 Hilarious and thought-provoking, with a brilliant cast of characters and an ending that will have readers cheering for joy, The Rosie Result is the triumphant final instalment of the internationally bestselling series that began with The Rosie Project.